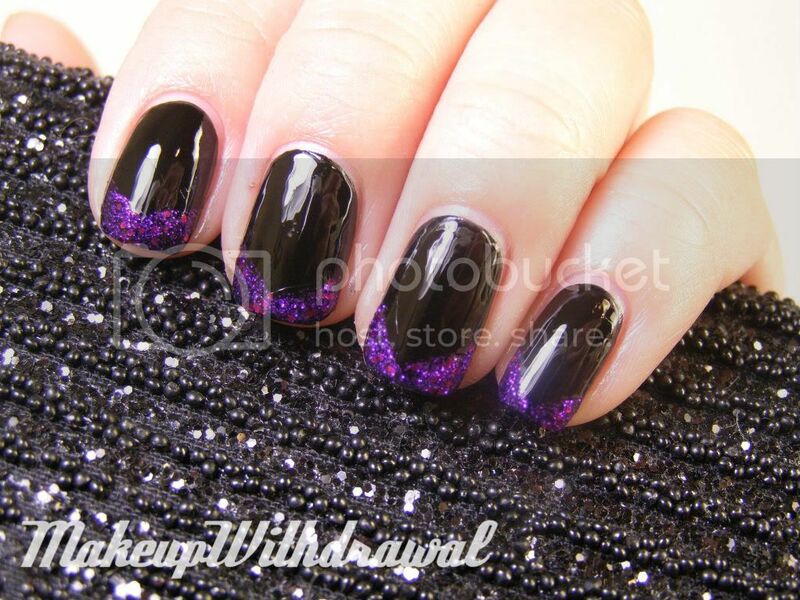 I did my nails today, wanting to use those Wet'n'Wild Ice Baby glitters in my design. I settled on the simple, yet interesting Chevron shape on black. Super easy to freehand, no guides needed. 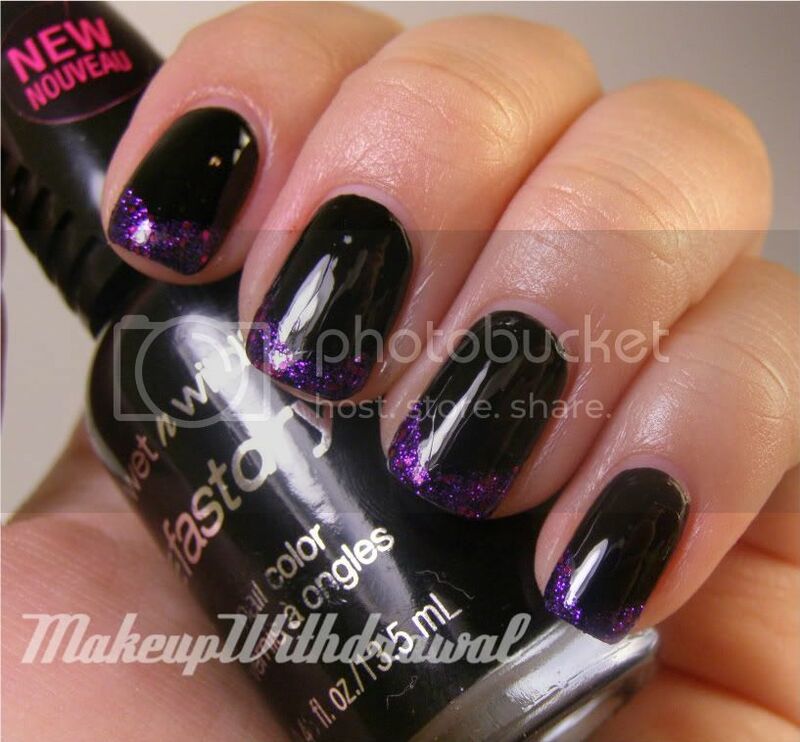 Wet'n'Wild Back Alley Deals is so sparkly and beautiful on top of black (Wet'n'Wild Ebony Hates Chris). What do you think of the Chevron shape? Do you like it, or prefer the rounded French manicure better?